Metro has placed a temporary fix on a cracked rail that caused significant delays during much of Tuesday morning's commute. The cracked rail outside Dupont Circle caused trains to single-track between the Van Ness and Dupont Circle stations, but delays and overcrowding spilled over onto much of the Red Line. As the problems persisted, Metro tweeted around 8:40 a.m. that riders should consider alternate transportation such as Metrobus. The transit agency repeated the suggestion at 9:09 a.m. 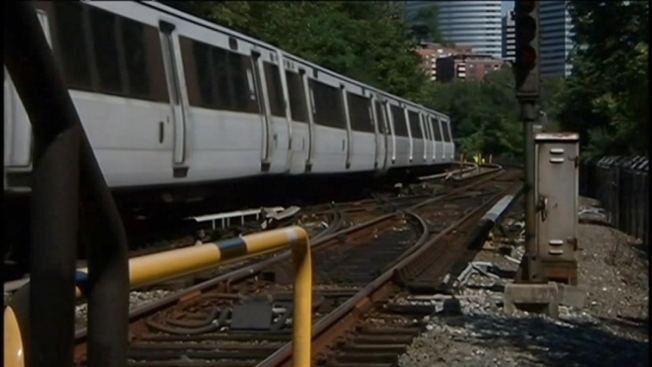 Some trains bypassed the Woodley Park and Cleveland Park stations in an attempt to minimize delays during the height of the trouble. 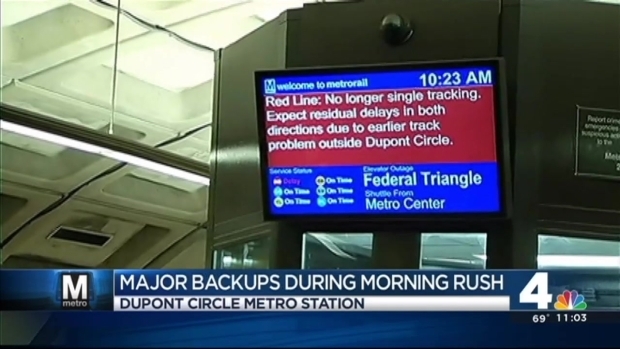 They resumed normal station stops around 10:15 a.m.
Red Line service is back to normal after a cracked rail caused delays during much of Tuesday morning's commute. News4's Adam Tuss reports the cracked rail was part of the original track put down 40 years ago. A more permanent fix to the rail is set to be installed overnight Tuesday. Stay with NBCWashington.com or check @metrorailinfo for more updates.